I installed openSUSE Leap 15 alongside my Windows 10 on same hard drive but in an allocated free space. I expected the dualboot option, but the Windows 10 item doesn't show up in GRUB menu at all. All partitions (including windows EFI system partition) are still there. but I don't know how to recover windows boot. How can I re-boot my windows again (without loosing openSUSE)? Please verify the name of the GRUB packages you currently have installed. If they include something like grub2-i386-pc (or directory /boot/grub2/i386-pc exists), you've accidentally booted the SuSE installer in legacy BIOS mode, and so it has installed a legacy BIOS version of GRUB bootloader, which naturally cannot boot any operating system that uses the newer UEFI boot scheme. You may need to change your UEFI BIOS settings to prefer UEFI boot over legacy BIOS, or to outright disable the legacy compatibility (often known as CSM = Compatibility Support Module). The actual procedure at this point is specific to your hardware and UEFI BIOS. Consult your hardware documentation. Once you've managed to boot the system in UEFI mode and are accessing your openSUSE installation, remove any current GRUB bootloader packages. Then mount your EFI system partition as /boot/efi and fully reinstall GRUB2. If the package management requires you to pick the actual version of GRUB2 hardware-dependent package, pick grub2-x86_64-efi instead of grub2-i386-pc. Note that the efibootmgr -d option specifies the whole-disk device that contains the EFI system partition, not the partition itself. The EFI system partition is not exclusive to Windows: in UEFI systems, all the installed operating systems are supposed to put their primary bootloaders in there. There is even a standardized directory schema for avoiding conflicts between bootloaders: each vendor is supposed to put their bootloader in \EFI\<vendor name>\ directory, and both openSUSE and Microsoft comply with this. You could try something similar to the solution found here. 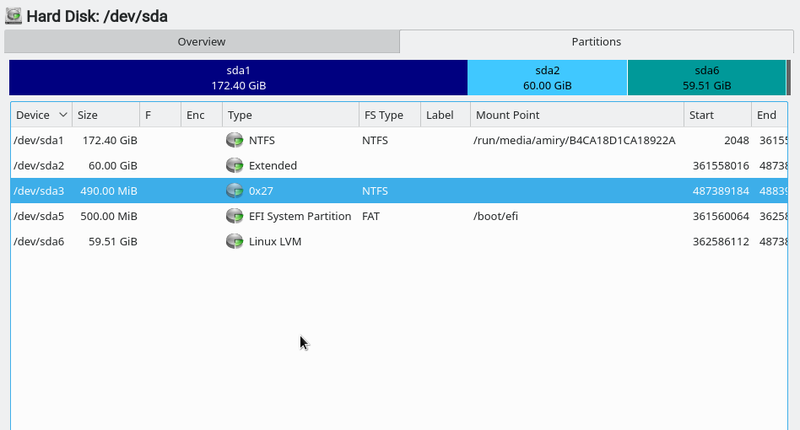 Boot into SUSE and mount the Windows partition. Not the answer you're looking for? Browse other questions tagged windows grub opensuse boot-loader or ask your own question. Does OpenSUSE Instlux overwrite Windows? Grub screen not showing after installing kali?